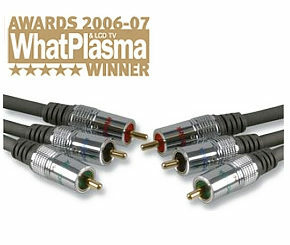 Techlink 680145 5m Component Cable, with OFC Cable and Gold Plated Contacts. 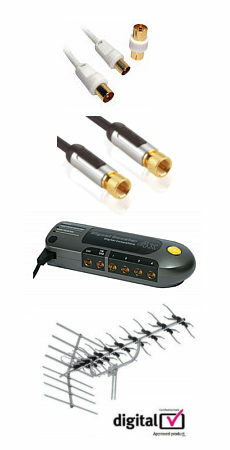 Individual Al-Mylar Aluminium foil shielded signal cables for improved picture. Laser etched chrome plated metal connectors. The Techlink Wires CR 680145 component cable is perfect for the video or home theatre enthusiast wanting excellent performance when attaching a DVD player, VCRs, Digital TV receivers and game consoles to a Television, Plasma screen or A/V receiver with Component Video inputs. This RGB wired and colour coded lead features non-migratory 75ohm cable optimized for DVD applications to restrict signal loss that can cause inaccurate transmission of video signals. 5m 3.5mm Jack Cable Straight to Angled Straight to 90 degree right angle 3.5mm connector both ends Stereo audio jack plug to stereo jack plug. Gold plated connectors. Colour black Length 5 metres Ideal for connecting audio devices to aux in connections Suitable for use with phones, tablets, laptops, PCs, ipods, portable audio devices and any other device with a 3.5mm audio output.